I've been out of the game since late 5th/ very early 6th and have recently had my interest rekindled by 8th edition. I've always been a heretic, fully devoting myself to the Dark Gods of Chaos, but recently I feel the pull of the Emperor's Guiding Light. He is calling me to defend the Imperium of Man, and really, The Gods never really favored me as a chosen son. I'd worshipped them devoutly since 3rd edition and I've never been gifted so much as a single tenticle! That being said, I've decided to leave the Gods and the power armour behind, and start leading a fierce of mere mortals. This thread will chronicle the mustering of two Imperial Guard armies with vastly different styles. I'll be starting off with a rapid strike force of Elysian Drop Troops, and will be countering them with the relentless Death Korps of Krieg. Edited by Danny Cyanide, 23 April 2018 - 02:27 PM. 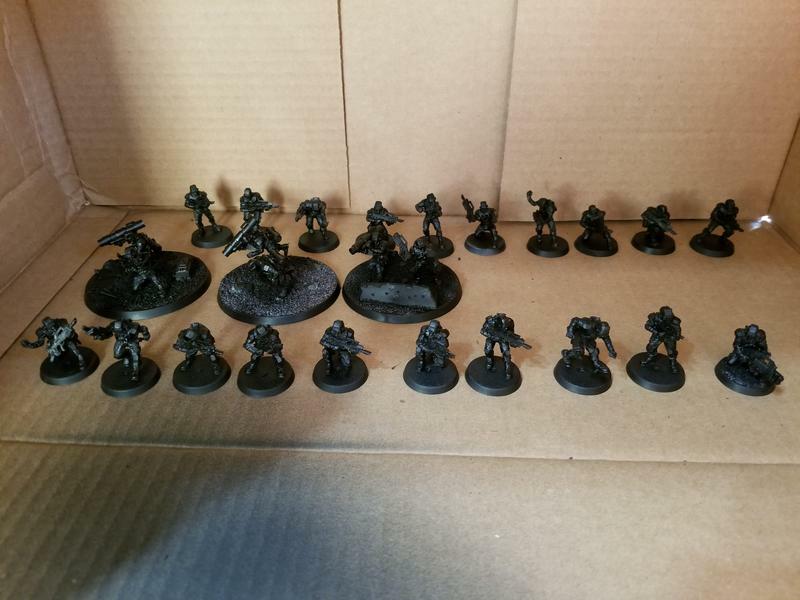 Welcome to the Guard and back to the hobby Have you decided on colour schemes for your forces yet? Welcome back! Good luck with colour schemes - it's always the hardest part. 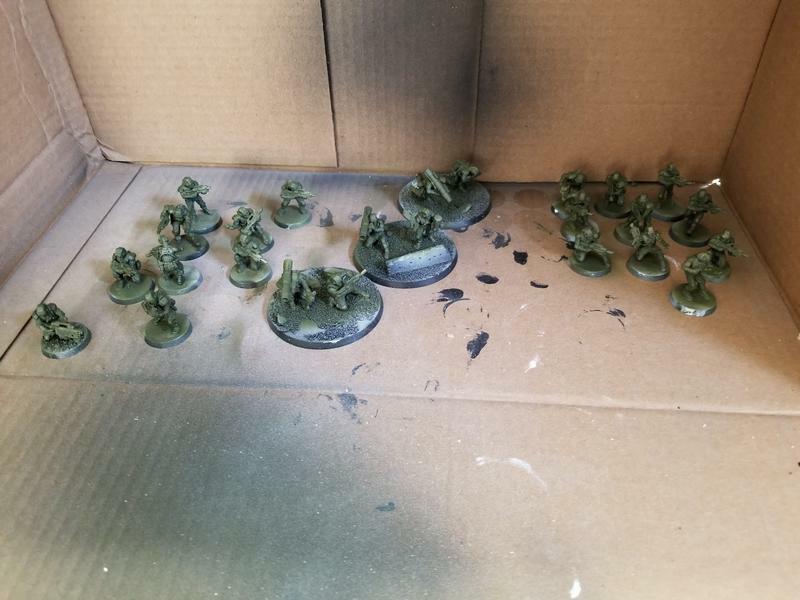 The Elysians are going to be Cadian colors, tan jump suits with green armour. Pouches, gloves and boys are going to be a darker brown, kind of a coyote tan color. Lenses on their visors are going to be blue. I'm going to be doing my Company Commanders out of Militarum Tempestus Scions for the Elysians, just to make them stand out a bit. I'm probably going to go French WWI for the Krieg when I start on them. 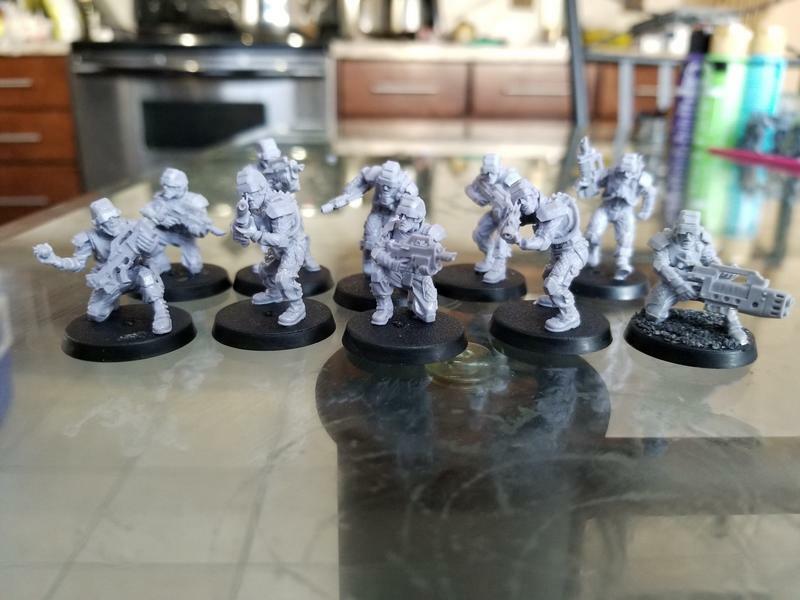 Small update, today i got the first pre built squad out of the stripper and got the first 3 squads primed. 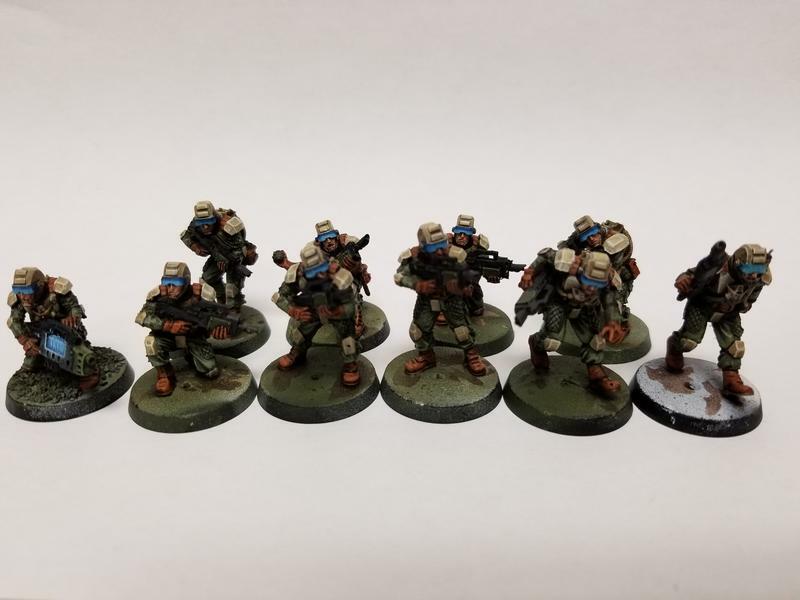 Going to do a paint test next with both Cadian colors, and inverted Cadian colors top see what I like best on these guys! Edited by Danny Cyanide, 10 February 2018 - 12:18 AM. Perfect models to vow for the Trooping of the Colour! The Elysian 127th have been pledged for Trooping of the Colour! I did A colour test today and made 2 schemes. First is inverted Cadian colours, the second is standard Cadian colours, tan with green armour. What do you guys think Is better? Edited by Danny Cyanide, 11 February 2018 - 05:13 AM. Inverted is definitely more desert themed? Which do u wanna go for? I thought I had an opinion, but it changes everytime I look at the picture. Either would be great schemes - one suggestion might be to paint the quilted padding on the thighs a different colour - perhaps tie it in with the leather colour used for belts/straps etc. What colour/design are your bases Danny? 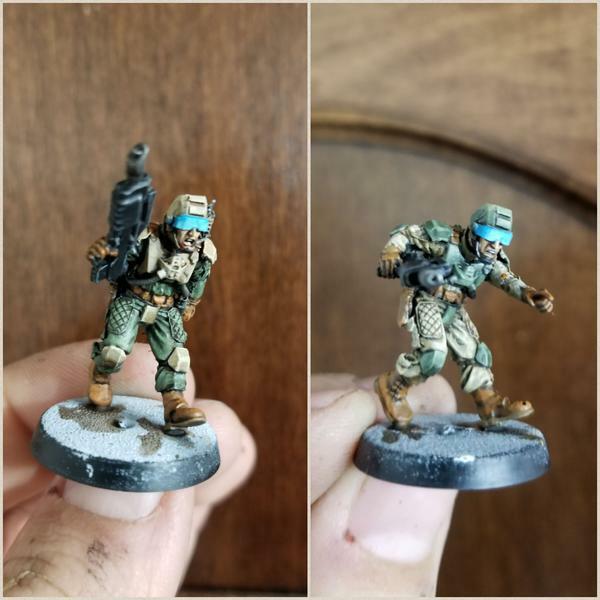 I think the green fatigues would work well with a forest (brown/green) or desert (brown red) base, while the tan fatigues might suit an urban (grey) scheme better. I honestly keep flip flopping myself! I haven't figured out basing yet, so that's still wide open as well. I think I want to keep the quilting the same as the fatigues though. 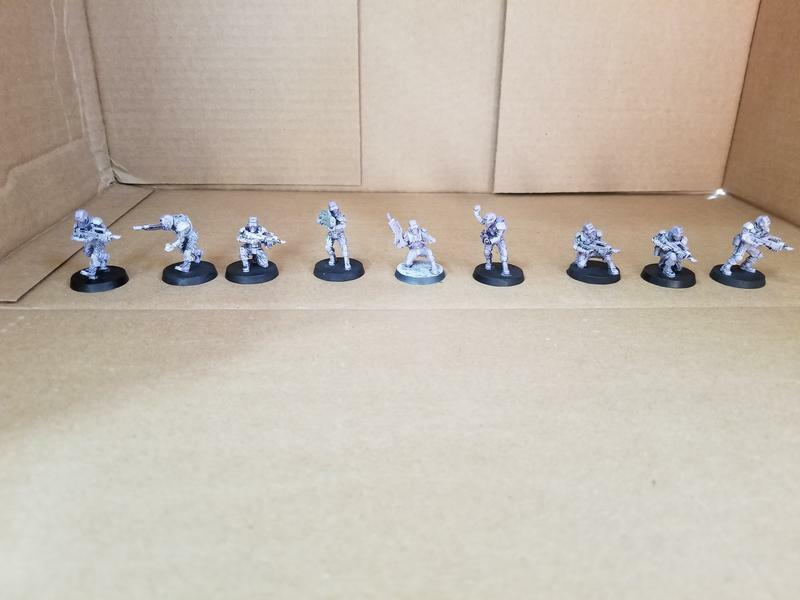 The Elysians' paints are well-applied, but their poses look awkward. What are they doing that requires them to bend at the waist like that? I don't think arms will naturally move that way when a person is running. I hear you on the possess, but they are sculpted hunched over from Forge World, I've always assumed it was to make them look like they were ducking while clearing a landing zone. Edited by Danny Cyanide, 11 February 2018 - 07:35 AM. I’m a fan of the green fatigues with the tan armor! So far between the various places I've posted the guys the feedback seems to be pretty much 50/50! Lol! Personally I like the tan fatigues and green armour, but they are both so close. Welcome back to the fight Brother Danny. Though I'm mainly a SM player, I have a lot of respect for the IG (can't get used to the name change to AM.... old dogs and new tricks I suppose). Thanks! As you can see by my thread title I can't quite get behind the new name either! I've decided to go with the Green Fatigue scheme! Thanks everyone for your input! Edited by Danny Cyanide, 11 February 2018 - 08:34 PM. I personally like the green... and would mix uniforms pieces in to break the monotony of the painting as well as the appearance of the unit overall. I'd throw my hat in the inverted (green fatigues and tan armour camp). Looking forward to seeing how these come along though dude! Thanks guys, I'm out of town for work for the next 3 week's so progress will likely be slow, but I did bring a case of dudes to work on while I'm gone! Finished up the first infantry squad tonight. Still have to figure out what I want to do for bases! Edited by Danny Cyanide, 19 February 2018 - 07:36 AM. They look great! Loving hte blue visors and power gubbins as a spot colour! Thanks! 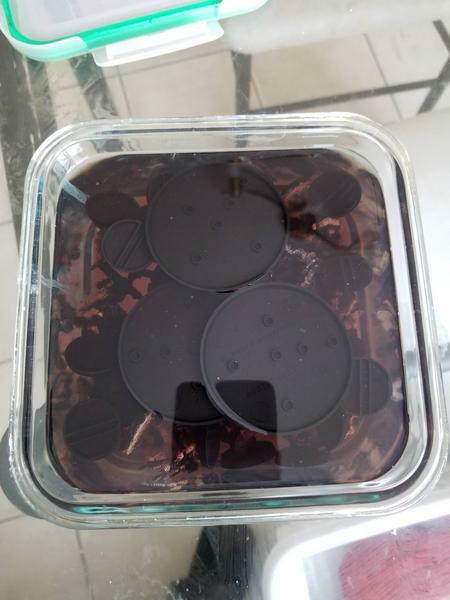 I'm pretty happy with how they turned out! I don't think I've painted anything for almost 3 years, so it really felt good to get these done!